This week I had the nerve to explore the Rogers Park community area. 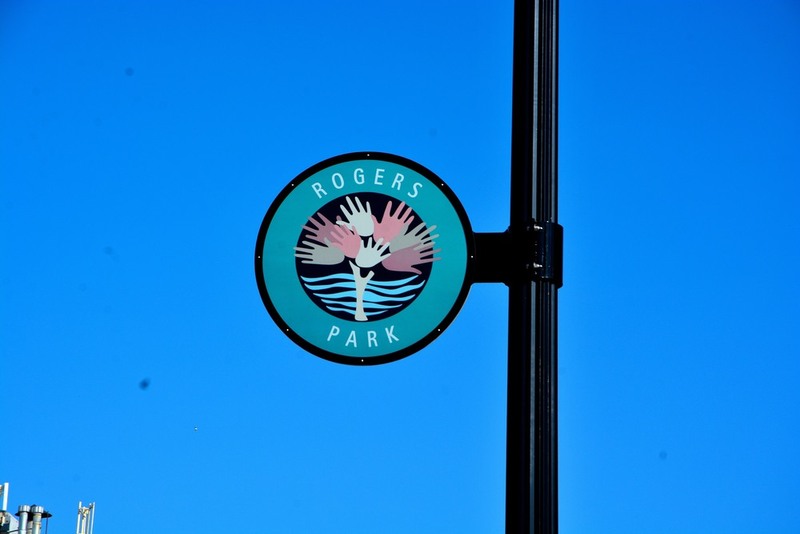 Rogers Park is the most diverse zip code in the whole U. S. Depending on which resident you ask, there's between 53-80 different languages spoken in Rogers Park. 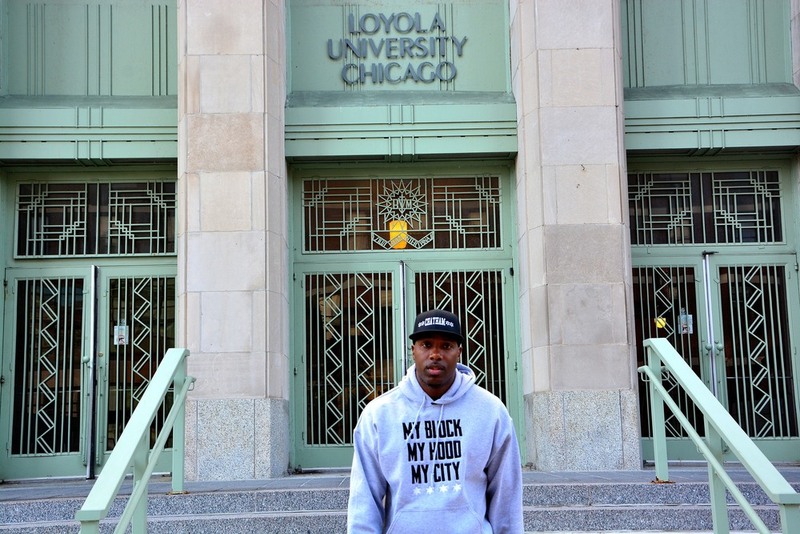 More colleges should be as diverse as the Loyola Campus because today's workforce requires you to be able to relate to people from different cultural backgrounds. As I drove down Morse Avenue I realized that Loyola University wasn't the only reason Rodgers Park is so Diverse. I truly believe that the ART brings people together. Regardless or race, religion or language, art connects people. We live with the hustle and bustle of the big City. So we can easily forget to appreciate the calming effect of sitting on the beach. Victorian doctors used to prescribe the "sea air" as a cure for an assortment ailments. Maybe Pratt Pier has a positive effect on the heart rate, blood pressure and mood. I traveled further north on Sheridan road headed for Rogers Beach, where I was scheduled to attend a Peace Angel March hosted by the Howard Area Community Center. 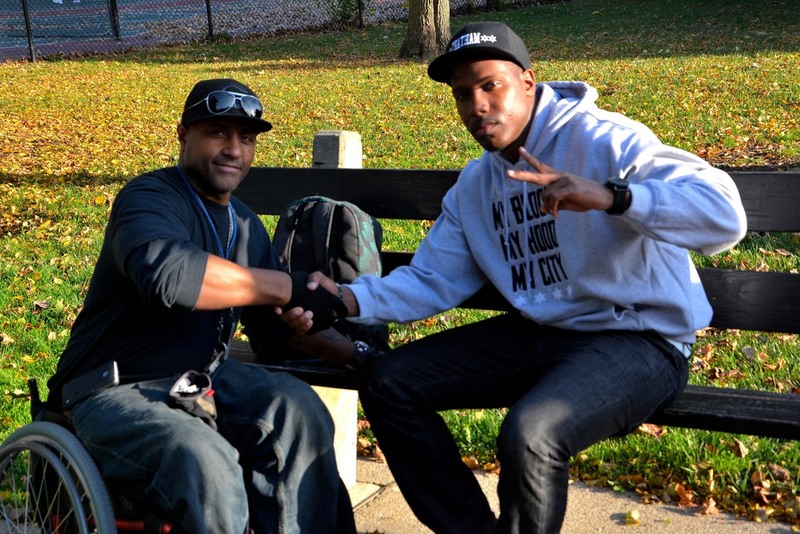 I was invited by a fellow Community Activist named Brandon Murray. We're both on the Mayors Youth Advisory Council that focuses specifically on solutions to youth violence. The purpose of this event at Rogers Beach is to raise awareness about gun violence and the effect it's having on the Rogers Park community. The march was funeral themed to give people a sympathetic feeling of being at a funeral. I enjoyed my time in Rogers Park. I love art. I enjoy learning about new cultures. I challenge you, the reader, to immerse yourself in a different culture or different Chicago community for one day. This will expand your worldview and lead to a more interconnected Chicago.